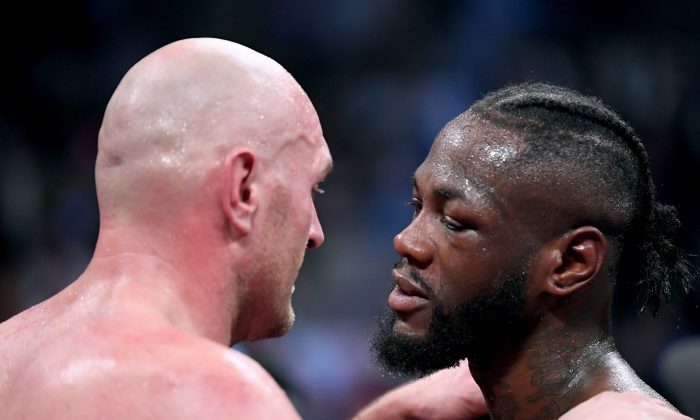 American boxer Deontay Wilder appears to have confirmed a rematch with Tyson Fury after their controversial scorecard draw over the weekend. Writing about the David versus Goliath fight on Instagram on Dec. 3, Wilder said that he couldn’t wait for a rematch with the British fighter. “You saw the best Fury, but you did not get the best Wilder and I still managed to get the job done,” he said. After the match, Fury said that he believed fans knew that he was the winner. “To beat the champion you must dominate the champ, and to me, I was the more aggressive fighter and landed the more affective punches,” Wilder added. 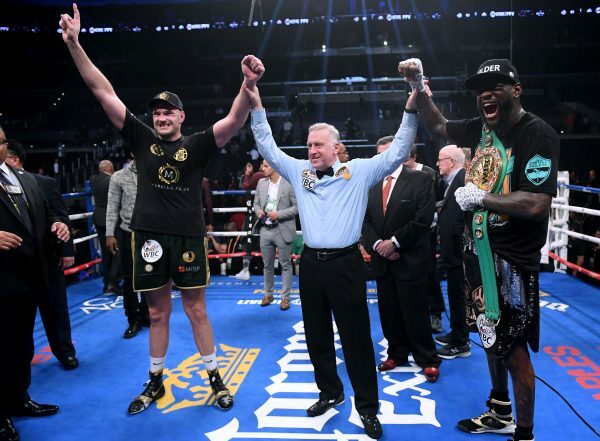 Judge Alejandro Rochin, of Mexico, scored the fight 115-111 for Wilder, Canadian judge Robert Tapper scored it 114-112 for Fury, and British judge Phil Edwards had it 113-113 to make it a draw, ESPN reported. Both fighters are unbeaten. Wilder almost won by knockout in the final round. But Fury surged to his feet in the dying tics of the count after Wilder had laid him out limp on the canvas with a straight right and a left hook. Wilder had even started to celebrate, apparently assured that Fury would not be back on his feet. The fight marked Fury’s return to boxing after a period of depression. He said he wanted his comeback to encourage those who suffered from mental health issues. “I don’t really have much use for it, I’m not interested in becoming a millionaire or a billionaire. I’m a boxer, not a businessman and I’ll probably go down the same route as every other boxer … skint at the end of it all. You can’t take it with you so I might as well do something with it and help out people who can’t help themselves,” he said.